Sometimes we fall in love with a food, eat it endlessly and then forget about it for months (or years like my Supernatural Brownie recipe). That is what I felt like when I bought a wedge of Tomme de Savoie recently. In fact I thought, really, I forgot about this? I mean look at this guy–he couldn’t be more photogenic. And more pokeable than the Pillsbury Dough Boy. The paste is so rich and unctuous that it holds promise of creamy fullness making it impossible not to touch. The word “Tomme” refers to small to medium-sized alpine-style cheeses from France and usually the region’s name is attached (Savoie in this case). 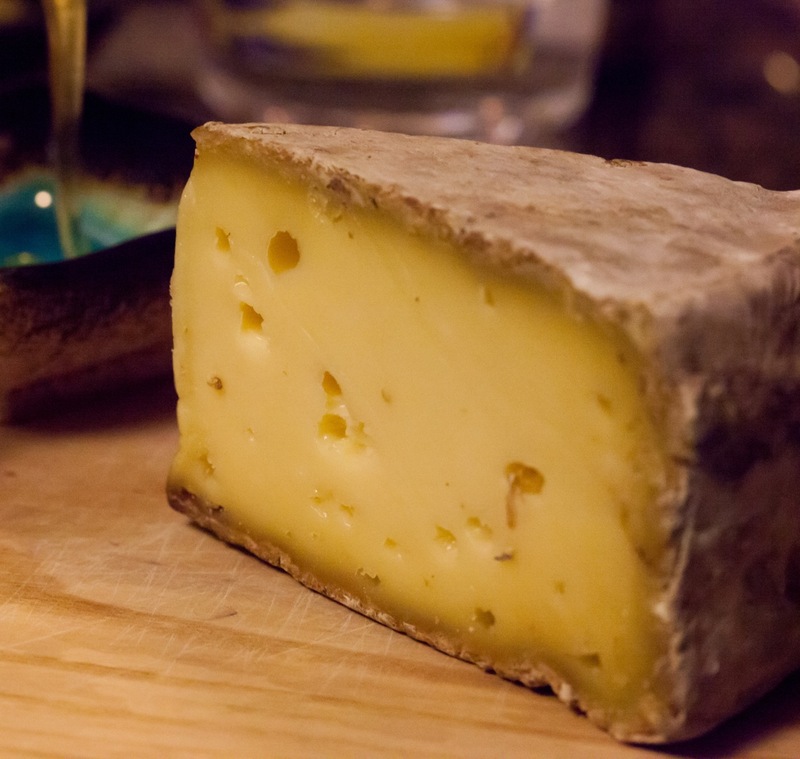 The word Tomme is used also used a bit more freely to describe a smaller style of cheese which is good for ageing, has a rustic rind and a semi-soft interior. These “other” Tommes can be found in Canada (such as Tomme de Grosse Île and Tomme Haut Richelieu). 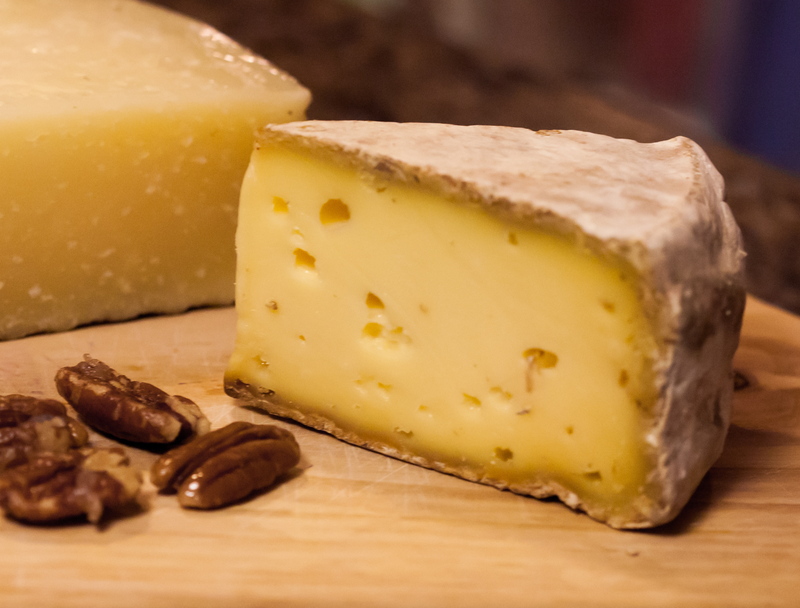 Originally a Tomme would be made from the milk of several different herds, not just from one farm, but always from animals that grazed in the same region. (Thank you Steven Jenkins and Max McCalman for this last bit of information.) I also have read that these smaller “Tommes” originated to use the the skim-milk left over from bigger, richer cheeses like Beaufort. In case you wanted to get closer. And kiss it. Tomme de Savoie is a raw, cow’s milk cheese (bask in its beautiful colour) and it has a thick, rustic inedible rind. I can just picture this cheese in my pocket when cross-country skiing or in my hand at the kitchen counter while I procrastinate from cross-country skiing. You’ll get flavours from the pastures the cows’ grazed in, a slight herbaceous, grassy quality with nutty milky notes and a beefy mouth feel to match its earthy, pungency. AND, because you will want to eat a tonne of it (or a tomme of it! drum roll pls) , since it is still traditionally made with skim-milk it actually a lower-fat cheese (with high-fat flavour).